Interested in starting a contest outside of Georgia? Our how-to-guide will help you get started. 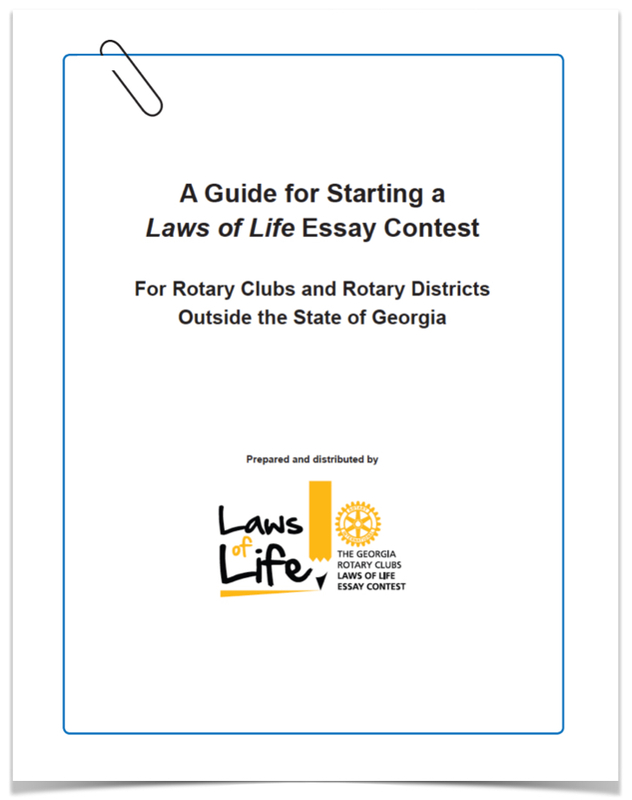 *All Rotary Clubs in Georgia are asked to participate in the Georgia Laws of Life Essay Contest. Provides schools with a proven, easy-to-implement character education program that gives students an authentic purpose for writing. Provides teachers with an engaging writing activity that helps them get to know their students better while improving classroom climate and relationships. Inspires young people to discover for themselves the core values, principles, and ideals that will guide them wherever they go and whatever they do in life. Helps students develop empathy, compassion, and confidence. Gives students the opportunity to write a “personal narrative,” a component of many academic writing standards. 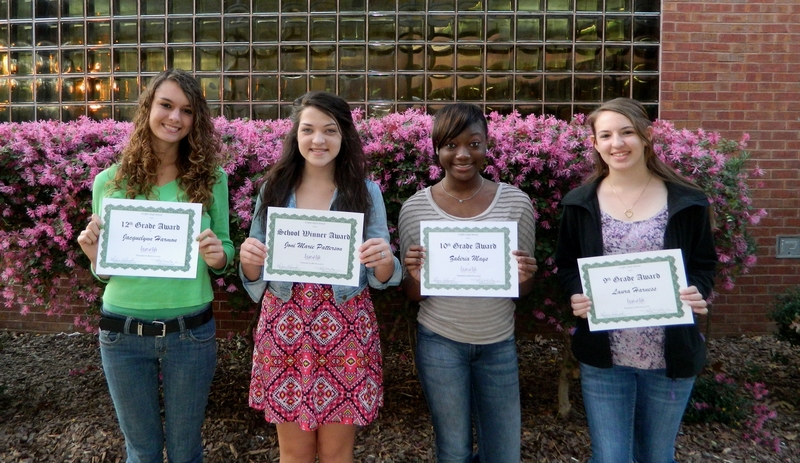 Provides practice for students’ writing tests and for their college entrance essays. 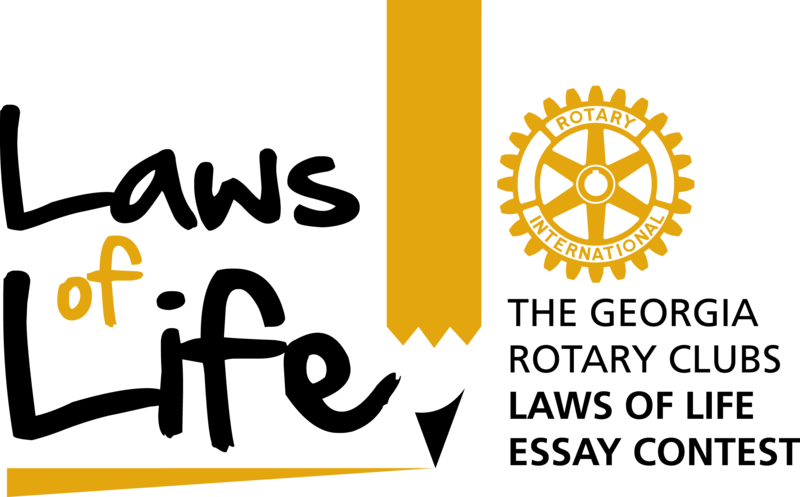 Single Rotary clubs or Rotary Districts can start a local or regional Laws of Life essay contest, freely using the sample teacher guidelines, judging templates, rubrics, and other contest materials herein. A Rotary Club or other Rotary entity interested in launching a contest downloads the free contest materials from our website. The club decides to either fund the contest on its own or to secure outside funding. Teachers introduce the contest to their students. Students turn in their essays by the deadline.